Our range of products include handmade paper bag and custom logo printed paper bags with ribbon handles. Bagasse Handmade Paper Bags with Silk Screen Printed Patchwork available in a variety of sizes, Handmade Paper Bags in various colors and patterns for various applications. Party Favor Bags in Blue and Pink Colors for Baby Showers. Bagasse Handmade Paper Bags with Silk Screen Printed Patchwork, host of other designs, concepts and themes can be created. Denim Handmade Paper Bags available in a wide variety of Sizes, can be logo printed as per your specifications. Beautiful Die Cut Handle paper Bags with Kalamkari Paisley Prints. Black Handmade Paper Bags with Multi Ribbon Handles , Can Be Logo Printed Also. Moon Rock Handmade Paper Bags with Multi Ribbon Handles and Embellishments. Silk Handmade Paper Bags with Ribbon Handles and Embellishments available in a wide variety of patterns . Moon Rock Textured Handmade Paper Bags with Multi Ribbon Handles and Embellished Paper Bags.Deep Silk Handmade Paper Bags with Multi Handles available in various colors. Moon Rock Handmade Paper Bags with Patchwork and Ribbon Handles. 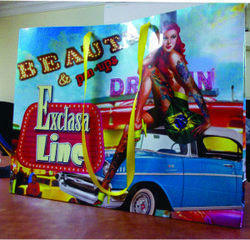 Custom printed Designer Paper bags made in various sizes . Logo Printed Kraft Paper Mini Bag.. We manufacture our Logo Printed bags as per customers requirements in a variety of sizes. Paisley Design Printed Gift Paper Bags available in a wide variety of Sizes. Printed Paper Bag Sets in various sizes and shapes along with Matching tissue papers. Black Handmade Paper bags available In a large assortment of Sizes. Screen Printed Paper Bags available in a large assortment of Prints . Kraft Paper Bags with Paper Rope Handles available in a wide variety of sizes, in plain colors and with logo prints. Indian Ethnic Design Printed Paper Bags, manufactured in a wide range of Colors, Sies and Patterns,Our News paper bags that have been made from old news papers are very popular worldwide, these are available in a large assortment of sizes. We are also manufacturing Paper Bags for Promotions with Logo Prints.Rose Petal Mottled Handmade Paper has been used to manufacture this durable yet beautiful paper bag. Screen Printed Paper Bags for Shopping. 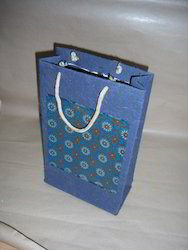 Batik Paper has been used to manufacture these paper bags with Ribbon Handles. Flower Mottle Handmade Paper Bags available with custom printing as per customer specifications. Batik Handmade Paper has been used to manufacture a large range of Paper Bags, Embossed Handmade Paper Bags, available in a wide variety of Sizes, Shapes, Patterns, etc. Embroidered Paper Handmade Paper bags available in a wide variety of Sizes.Rose Petal Handmade Paper has been used to manufacture these beautiful Paper Bags. Customized Handmade Paper Bags made in Festive Colors with Skeleton Leaf Embellished on Deckle Edged Papers.We manufacture a large of Paper Bags made from Flower Petal Papers, We use, Aster, Rose, Cornflower, Marigold Petal papers in developing our range of Paper Bag, all available with matching gift tags. We are also manufacturing Paper Bags using Marbled Handmade Paper as well as our Embroidered Paper Range.Our Paper Bags made from Denim Papers are quite popular with Apparel and Clothing Manufacturers who work with Denim Garments.We also manufacture Paper Bags using Dew Printed Handmade Paper, This Paper printed with Dew Design looks as if Rain Drops have been printed on the Paper Bag.We manufacture a large range of Paper Bags made from Rose Flower Petals available in varying colors, these bags are very durable and 100% Eco Friendly. We use a large range of Batik Papers to manufacture our Range of Paper Bags, Batik Papers are available in a large variety of colors. We recently completed a promotional bag for a church in Ireland, where we supplied Printed Bags, Gift Tags and a Matching Diary with Bible Themes. We manufacture a large range of Paper Bags made from Recycled Papers. Our Bags are 100% Eco Friendly and can be customized as per your size specifications and can also be printed with your logos. Looking for Handmade Paper Bags ?